Apple may bolster its streaming media services with the addition of technology and talent from Swell, a personalized news radio application currently available for iPhone, which it is said to have bought for $30 million. Apple's alleged purchase of Swell was revealed by Re/code, which said the Swell app is expected to be shut down this week after the deal closes. Key to the acquisition is reportedly the simplified user interface that lends itself well to in-car listening. Swell is a free download on the iOS App Store and is well reviewed, with 436 users giving it an average score of 4 and a half stars out of 5. The deal could affect Apple's iTunes Radio service, which is a Pandora competitor that recently gained talk radio stations. The technology could also be implemented in Apple's own iOS Podcasts app, which is poorly reviewed by users on the App Store. Pitching itself as "news radio rebooted," Swell claims to offer "a smart and effortless way to listen on your smartphone." 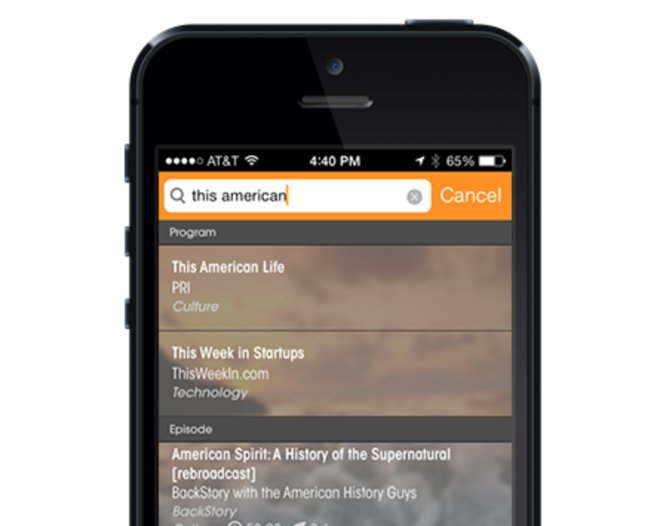 Partners providing content to the app include National Public Radio, ABC News, American Public Media, and Ted. The Swell app analyzes what users listen to and uses that data to create a personalized podcast stream. The simplified menus allow users to simply hit play and begin hearing content that may be of interest. News of the alleged deal comes only a few days after Apple confirmed it purchased BookLamp, a sort of "Pandora for Books." That deal closed in April, and was said to be worth $10 million to $15 million. During Apple's quarterly conference call for the third fiscal quarter of 2014, CEO Tim Cook revealed the company has completed 29 acquisitions over the past nine months, including the purchase of Beats for $3 billion.